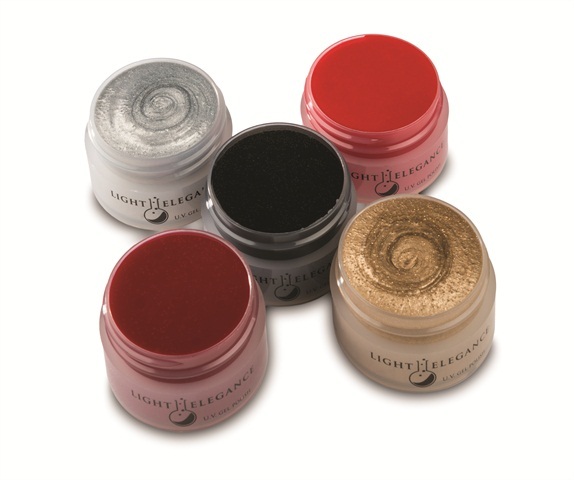 UV Glitter Gels by Light Elegance are packed with glitter that stays suspended like holiday cheer. When applied over any hard gel or acrylic, UV Glitter Gels are likely to outlast New Year’s resolutions. With over 65 UV Glitter Gels to choose from, clients are sure to find a sparkle that’s as much them as it is holiday fun.